TOKYO, Nov, 30 2018 - (JCN Newswire) - Mitsubishi Motors Corporation (MMC) announces that in the FY2018 JNCAP(1) super-height wagon the eK Space has been awarded the maximum ASV+++(2) rating for active safety performance. 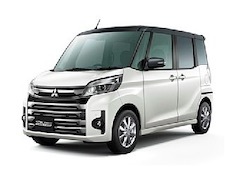 eK Space is fitted as standard with Mitsubishi's Forward Collision Mitigation (FCM) braking system that detects pedestrians as well as vehicles ahead of the vehicle. The Custom trim level is also fitted as standard with Mitsubishi's Lane Departure Warning (LDW) and Automatic High Beam systems. Safety Package trim levels are fitted as standard with Mitsubishi's Multi Around Monitor, which also provides a bird's eye view of the car, that allows the driver to check what is behind the car. These driver assistance systems all support safer operation of the vehicle. The FY2018 JNCAP active safety performance looked at seven areas of performance in total. As in previous years, it tested the four areas of: Vehicle damage mitigating braking; Pedestrian injury mitigating brake system; Lane keep assist; and Rearview monitor(3). This year, three new categories were tested: High-performance multi-functional headlights, Sudden unintended acceleration mitigation, and Pedestrian injury mitigation braking (at night with street lighting). An eK Space fitted with Mitsubishi Motors' latest active safety technologies was awarded full marks in the Vehicle damage mitigation braking and Rearview monitor(3) categories, and was rated highly in the other categories. And compact minivan the Delica D:2 has also been awarded the maximum ASV+++(2) rating for active safety performance. 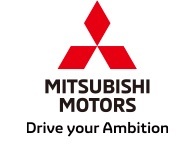 Mitsubishi Motors is continuing development of active safety technologies, and extending their installation to more models, that allow the driver to enjoy the driving experience with reassurance and that help avoid or mitigate damage or injury in the event of an accident. (2) Advanced Safety Vehicle (as defined by the Ministry of Land, Infrastructure, Transport and Tourism). (3) When fitted with 7-inch display 2-DIN memory navigation system.